• Start typing in the search bar. The search function is intuitive and will automatically suggest options for products, suppliers or quotes. • Browse our Categories until you see something that appeals to you. • Post an RFQ telling us exactly what you are looking for and receive quotes from suppliers within 24 hours. • Get one on one personal assistance by Professional Purchasing Agents. 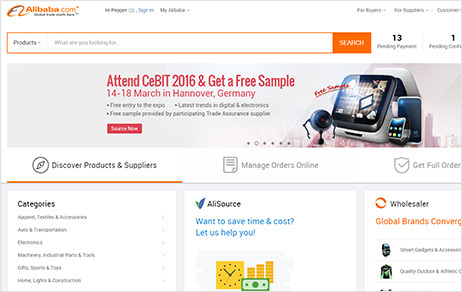 Use Alibaba.com's Wholesaler option to find products that are available in low minimum-order-quantities (MOQs), get instant price quotes and place secure online orders. 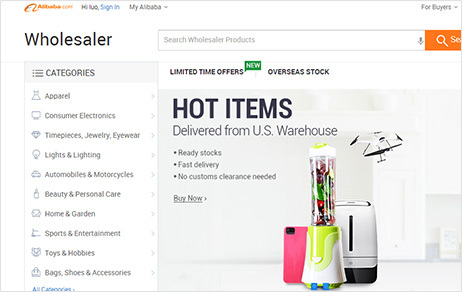 Plus, every Wholesale transaction is protected by Alibaba. com's Secure Payment Service.